Myths and misinformation abound in the world of credit scoring. 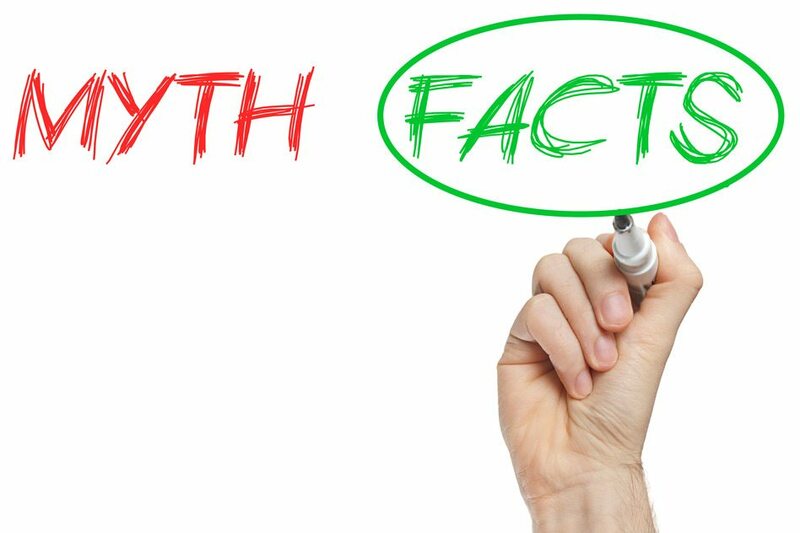 Here are some of the most common credit scoring myths, and the truth of the matter. Truth: Credit scores are not and have never been used by employers for employment screening purposes. Employers don’t even have access credit scores. Credit reports, which are different than credit scores, can be used for employment screening purposes, but only if you provide your overt permission for the report to be accessed. The idea that credit scores are used by employers stems from the fact that the terms credit report and credit score are often used interchangeably. However, the terms are not interchangeable whatsoever since credit scores and credit reports represent two entirely different products. Equifax, Trans Union, Experian, and even the credit bureau’s trade association have gone on the record over and over again stating that credit scores are never provided to employers. There is no doubt that credit scores do wield a lot of power. They can affect your insurance premiums, determine your eligibility for loans, and impact your interest rates on loans. However, credit scores cannot influence an employer’s decision to offer you a job. If your comment is “awaiting moderation” it means they are getting ready to strip it from the website as being bad for business. Come back in a week, and you’ll see. The whole system from FICO to Credit Repair is designed to keep you ignorant, in debt, and paying fees and interest until your family goes into debt to bury you. Remember, figures don’t lie, but liars figure, It’s a huge industry and takes brains and good judgement to avoid. Good Luck. All comments are now being moderated to prevent spam, as we have been inundated with it lately. Comments will be approved within 24 hours during the business week. We appreciate your understanding and patience, and thanks as always for your thoughtful insight into our articles! You are simply WRONG good sir…i paid my cc balances down to ZERO and within one week my ficos dropped from EXCELLENT/VERY GOOD/ GOOD ..down to POOR ! I called each bureau and they ALL SAID yes sir thats the way it works…gor instance in order fot me to rrgain my TRANSUNION 777 i need to be at least $5000.00 in debt..a 25% of my debts…Equifax 18% …EXPERIAN 9% !!!! If you use your “rights” under Free Annual credit Report” or whatever the real law is called, you will get what the credit agencies call a “summery” about 3 pages long. This is the minimum they can do under the law because they hate that law, and can avoid any attempt at enforcement by providing it. If you sign up for one of the reporting agencies or FICO’s “good deal” programs for $45.00 or more a year, they will send you a detailed 35 page report of your entire credit history and offer you lost of other “opportunities” to raise your score. On the real report you will likely find some errors you can try to fix, and will probably be able to jump through enough hoops to do so. But your actual FICO and other scores will not go up. The only way to do this is to get into barely manageable debt, make the minimum payments on time and stay there for the rest of your life. Then you are a “good” consumer and probably a fine American. Now the whole system is making money on you. Welcome to the 800 club. It’s easy. And if you fall behind, pay the “credit repair” industry. They will help you get you the “right” level of debt, for an ongoing fee. Pay off your car, credit cards, house and store cards and you sir, are a deadbeat and will be treated accordingly. You’re practically a communist. I had a student loan rep. said he would help eliminate the student loans for $1000.00. I told him that I would have to cut back on my grocery and gas money for going to doctors. He said do what ever it take to pay him to eliminate the loans. At the time my score was 640. I didn’t like his attitude, so he tried to call me ,email me. I just ignored him. One month later my sores dropped to 440. And I have been trying to bring my scores up since then. Here is what happened to me when I dropped my Credit Card balance to zero. Bank of America reported my account as inactive and that dropped my credit score around 6 to 10 points. As soon as I left a balance smaller than 10% on the card my score shot right back up to where it had been prior to paying off the card completely. Note, the bank took no time in issuing the “Account Inactive Message” to all 3 credit bureaus. 5 minutes after I transferred the funds to pay the card off to $0.00 I made a small charge of around $35.00 on the same card. I called one of the bureaus and was told it might be removed when the bank sent their next report to them, which it was. That was at the end of the monthly billing cycle around 30 days. Bank of America I find to be very unethical at many different levels. I paid off my card with them long ago and would never do business with them ever again. I have had my credit scores and reports used against me for employment purposes at a high end employment agency, the position was for IT Administration / Support for a popular Armored Truck company. After deep discussion with my recruiter/ headhunter we couldn’t figure out what the hold up was, so we called them on it .. they said point blank I was a credit risk and with access to “armed individuals who were protecting the money ” I may become a liability given that i have a bankruptcy in my past. None of the recruiters I have worked with since then have denied , It can be a major factor . Not all of the Consumer Specialty Reporting Agencies are required by law to send you a free report every year. The link to the Government site will give you the information on this subject for each agency. I negotiated a settlement with Sallie Mae for a student loan I cosigned for my son. After the “settlement” Sallie Mae reported (negatively) that I had a “write off” of all the monies that neither of us negotiated on. Although I made the settlement they reported it negatively on my sons report also. How can I get all this negative stuff off both my and my sons report? This is a great source of guidance for restoring one’s credit!